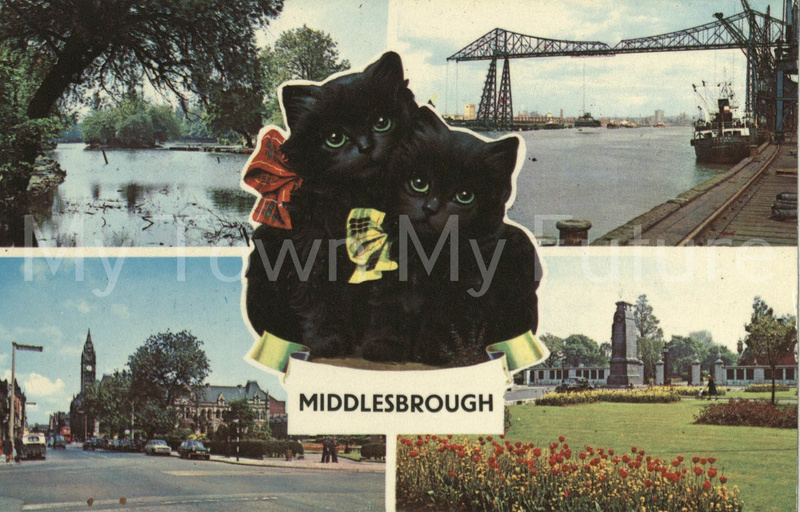 These photos are of postcards that showcased the buildings of Middlesbrough. 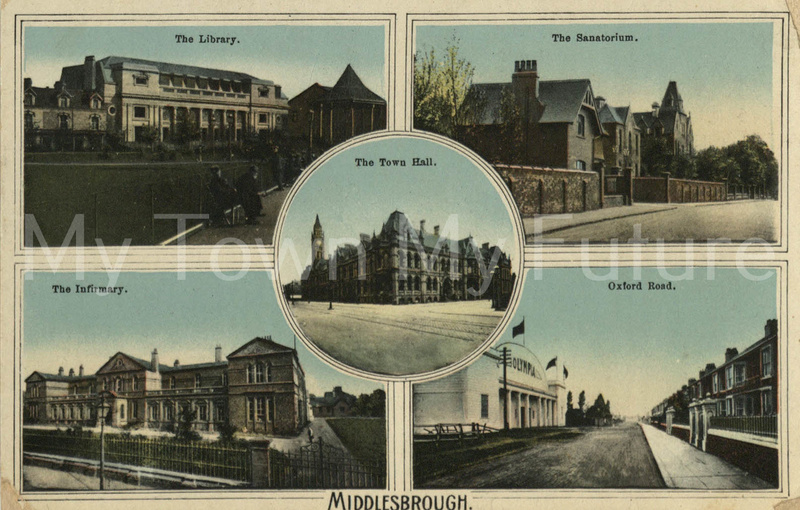 The first postcard shows the five main buildings – the Library (Middlesbrough Central Library), the Sanatorium, the Town Hall, the Infirmary (North Riding Infirmary) and Oxford Road. 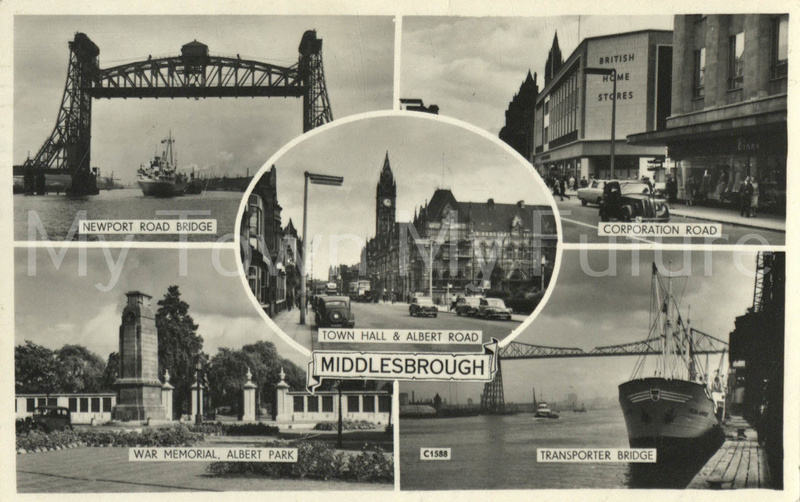 The second postcard most areas of Middlesbrough – Newport Bridge, Corporation Road, the Middlesbrough Town Hall and Albert Road, Albert Park and the war memorial cenotaph, and the Transporter Bridge. 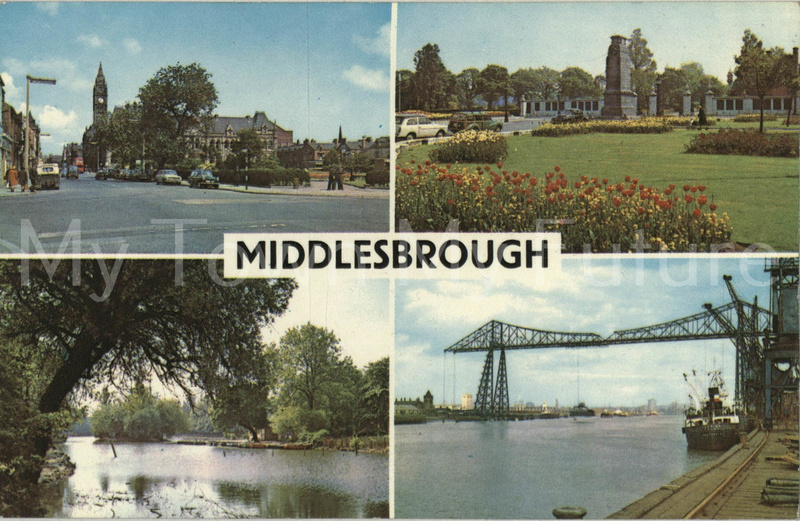 The third postcard shows Albert Park’s boating lake, the Transporter Bridge, the Middlesbrough Town Hall, and the war memorial cenotaph outside the gates of Albert Park. At the centre of the postcard is an illustration of two adorable black cats. The forth postcard is nearly the exact same as the third postcard, except for no cat illustration, and the photos have been changed around (the Town Hall and Cenoaph images were on top, the Albert Park boating lake and Transporter Bridge are on bottom). 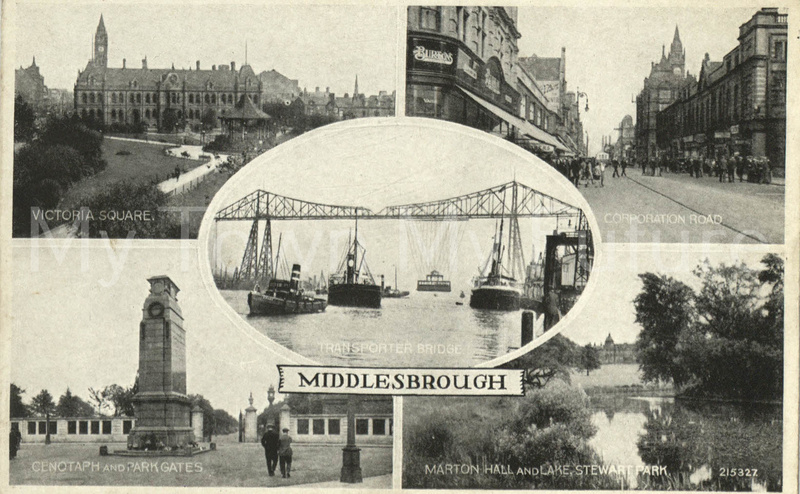 The fifth postcard shows some familiar areas of Middlesbrough (Transporter Bridge, Victoria Square and the Town Hall, Corporation Road, the Cenotaph and Albert Park), with the addition of Marton Hall and Lake in Stewart Park. Image courtesy of Valentine & Sons. 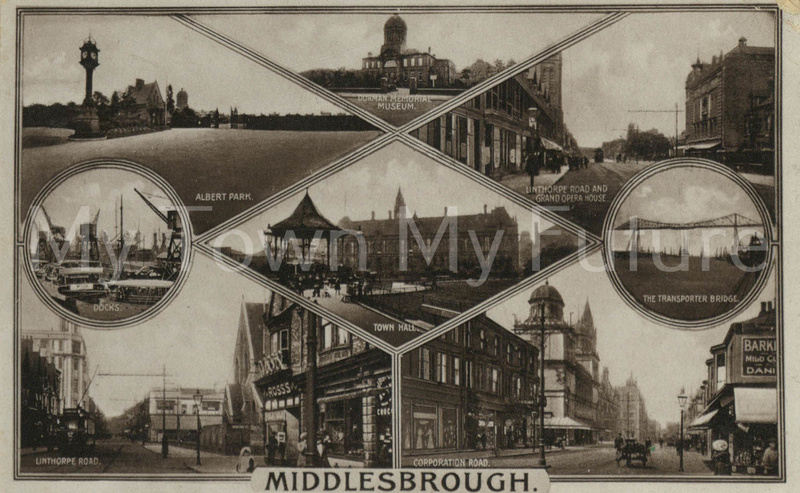 The sixth postcard depict familiar sights of Middlesbrough such as Albert Park, Dorman Museum, the Town Hall, Linthorpe Road, the Grand Opera House, the Docks, the Transporter Bridge and Corporation Road. Image courtesy of T Campling.